WineFan at Miracle Valley Vineyard | FTLapps, Inc.
We all long for a life that allows us to have fun while we work. It has been said, “Find a job you love to do, and you will never work a day in your life.” Just a few short miles off of Interstate 66, in Delaplane, Virginia, you will find a winery where the owners have encompassed that very philosophy. Not only were we fortunate to meet these owners, we had the pleasure of joining Joe and Mary Ann Cunningham to listen to live music with members of the group Wait and See… and, of course, to taste their vineyards’ wine! The time we spent with them helped us understand the experience they strive to deliver to all their guests. As you drive up to the vineyard, you will know you are at a winery as many of the vines on the ten acre property are located just outside your passenger window. The tasting room is a farmhouse that was built in the 1800s, but has since been restored into a fabulous wine tasting venue. 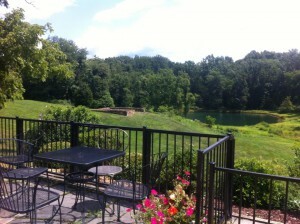 A fully stocked fishing pond is located on the property next to ruins of a building dating back to the Civil War era. 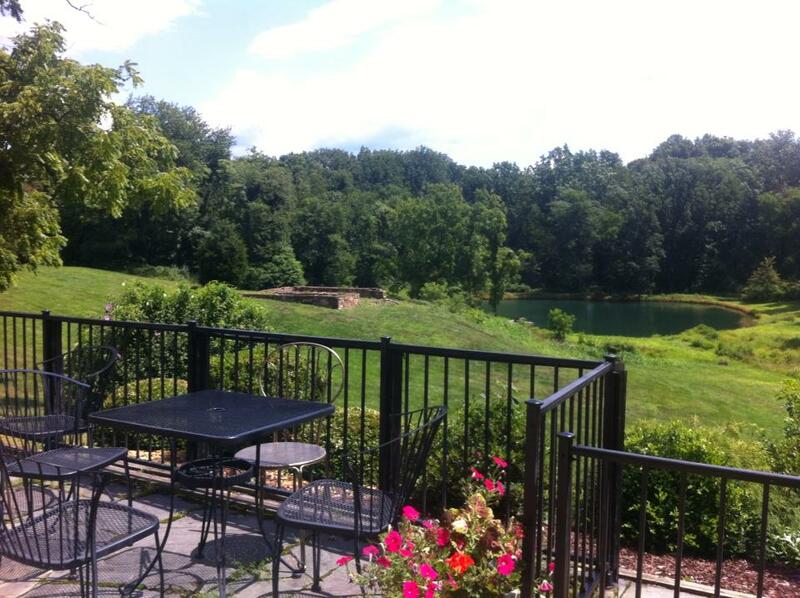 The winery provides many outdoor games that are well suited for a winery; Frisbee golf, corn hole, and more. Every activity provided is evidence that the owners want you to have fun while visiting their winery and enjoying their wine. If that doesn’t entice you to visit, then perhaps you’ll want to check out nationally recognized sculptor Lei Hennessey-Owen’s Angel. After she discovered the Cunningham’s connection to the events of September 11th, 2001 (Mary Ann and Joe are both from Queens New York) and their dedication to helping those who have served this country, Hennessey-Owen decided Miracle Valley Vineyards was the quintessential place to host her sculpture honoring those who lost their lives that tragic day. Miracle Valley Vineyards first planted vines in 2004 and the winery opened for visitors in 2007. Their friendly staff is knowledgeable and ready to talk about the winery in any capacity to anyone eager to listen. They offer a wide variety of wines so they have something for every palette. Most intriguing is the Sweet Michelle which is Chardonnay blended with Rkatsiteli (ruh-KAT-see-TELL-ee). Rkatsiteli originates from the Republic of Georgia and dates back to 3,000 B.C., making it one of the world’s oldest known grapes. Finding a winery in Virginia willing to grow such a grape is a testament to the confidence Miracle Valley Vineyards exudes in their wine making. Notes exported from our WineFan app follow. Hints of apple and honey. Citrus finish. Granny Smith apple. Nice oak finish. A lighter meritage great for grilling! Full body wine with great oak and pepper notes. Small fruit on the front. Oaky nose. Hints of vanilla and apricot. 2% residual sugar.